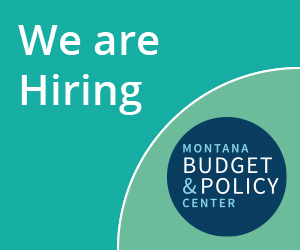 Did you know that the Montana Office of Budget Program and Planning (OBPP) is in full budget planning for the next Legislative Session in 2015? In order to get everyone up to speed by January, I decided that we need to start working our way though the numerous wonky words contained within the Montana state budget. Aren’t you excited? Our lead off hitter is (drum roll please) – General Fund. Many people have heard of the general fund and can make a relatively good guess as to what it means. However, wonky word Wednesdays is more than taking a good guess. We want to have a working knowledge of what these words mean. The general fund is the money available for the state to use for most of its functions. General fund dollars do not include payments from the federal government or sources that restrict funding for specific purposes. The Legislative Fiscal Division wrote a great report on the budget and has helpful information on this topic if you want to dig deeper. Think of the general fund like your main checking account. You pay for most of your bills out of this account. However, it is not the only money you have. You also have a retirement account, savings account, health and education savings accounts, or other pools of money to pay for specific things. We will get into the “other pools” of funds the state has at a later date. Why is the general fund so important? There are few wonky words as important to the lives of Montanans as general fund because we are all impacted by these dollars. We hope you will join us in working with legislators to help them balance the needs in our state with the limited resources available. Keep checking back because we are going to get very wonky moving forward. Some of the budget words we will cover will include: appropriation, HB2, special revenue, ending fund balance, proprietary funds, present law adjustment, and so much more. Do you have other suggestions? Email me at tjensen@montanabudget.org or post something to our Facebook page.